Early summer rarely brings with it political drama, but on June 29 of this year, the Harper government served it up by announcing that it would abolish the mandatory long-form census (the short-form census would remain mandatory). The decision has not been well-received, to put it gently. Opposition has come from virtually all quarters: the proposal has brought together labour unions, business groups, religious organizations, professional economists, academics, think tanks and even a website that makes money selling old census information. The debate seems to have focused largely on whether or not switching to a voluntary survey will compromise the integrity and utility of the data collected. Regrettably, however, little of the commentary has considered what it means to have a mandatory census and what, exactly, it implies. What does it mean to have a mandatory census? How do we justify it? And do we really want the census to be “mandatory”? The census is clearly useful to a great many people. Not only government planners use the information it collects; organizations as disparate as charities, businesses, community organizations, and academics rely heavily on what is truly the mother of all databases on Canadians. Everything from marketing campaigns to scholarly research would be affected by its loss. No reasonable person contends that the data is not useful. Moreover, the government’s claims that a voluntary survey can provide the same robust results as a mandatory one are dubious at best. Selection bias would surely skew the data. Finally, the census is totally anonymous and Statistics Canada fiercely guards the privacy of respondents. In other words, we need the information, this is the only way to get it, and it’s as safe as possible. Case closed? The Random House Dictionary defines coercion as “the act of coercing; use of force or intimidation to obtain compliance” or as “force or the power to use force in gaining compliance, as by a government or police force.” This “coercion” business certainly sounds unpleasant. So how is the census coercive? Under section 31 of the Statistics Act, anyone who fails to answer a question under that legislation truthfully (including the census) is liable to a fine of up to $500, three months in jail, or both. The threat of sanctions marks the difference between a mandatory survey and a voluntary one. But does anyone really pay a fine for ignoring the census? Has anyone ever gone to jail for such an offence? Good questions, to which I’ll return later. 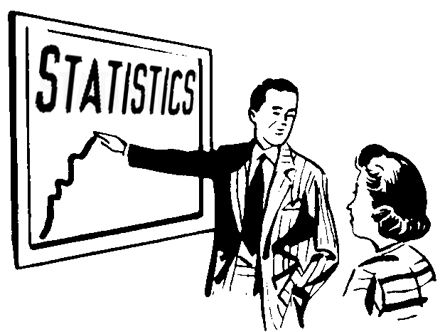 But for now, consider the full meaning of those words in the Statistics Act. The use of information that has been extracted under the threat of force seems to be on uncertain moral ground. Could a private business gather information for a marketing campaign by threatening respondents? Would an ethics review sanction academic research that proposed to physically compel prospective subjects to complete a survey? Could a private school plan its future growth by ordering people in its neighbourhood to divulge information on themselves and their families? And yet, these outrageous methods become acceptable when used indirectly, by accessing census data. They can’t force people to answer their questions, but they can get the state to do so and then enjoy the spoils. For whatever reason, most people believe that deploying force against other human beings becomes moral when it is government, rather than private actors, that does the deploying. The distinction mystifies me, but I accept that I’m in the minority. What I do not accept, however, is a refusal to acknowledge that forcing people to do something is not a decision to be taken lightly. Compelling behaviour is a weighty matter and should only be used as a last recourse and after careful consideration of every possible alternative. "For whatever reason, most people believe that deploying force against other human beings becomes moral when it is government, rather than private actors, that does the deploying. The distinction mystifies me, but I accept that I’m in the minority." These extracts represent an apparently broad consensus among critics of the government’s move. The contempt and condescension are palpable; not only is the decision incorrect, but (as Hume puts it) there is no possible justification for it. All of the arguments are with them, and none are against them. On one side are science and reason; on the other, ignorance and an irrational mob. The correct decision is plain to all but the most obtuse. The coercive power of the state goes either unmentioned or, as in Southey’s formulation, is brought up as a joke, complete with scare quotes. Threatening an individual’s property or freedom of movement is shrugged off as a bogey man that should concern only the paranoid. There is not a hint of acknowledgement that such a thing is of the utmost seriousness and a matter to be justified only with the greatest difficulty. (1) The disdain for the most basic human right—the right to be left alone to live your life in peace—is appalling. As alluded to earlier, the penalties in the Statistics Act are in truth more an illusion than a threat. It seems that virtually no one actually gets fined, much less jailed, for failure to comply. In 2006, it was reported that 250,000 malingering Albertans who failed to return their census forms were hit with… a knock on the door asking them to comply. A grand total of 64 Canadians were prosecuted for non-compliance. This talking point has featured prominently in criticism of the government’s decision. As one critic put it, “Nobody has gone to jail for refusing to fill out the census and nobody ever will.” He suggests simply amending the law to eliminate the threat of prison while keeping the fine. This may seem like a compromise, but it would be a poor one. For example, what happens to those who refuse to pay, especially if they have no property to seize in payment? More importantly, however, this argument raises the question: do these people want a mandatory census or not? If so, then they should have the courage of their convictions. If Wikipedia is to be believed, about 2.5 million homes received the long-form census in 2006 (20% of the 12.7 million homes in Canada). The reported response rate of 97% leaves about 76,000 uncompleted forms—without even counting those who lie on their forms (or do we Canadians really have 21,000 Jedi Knights living among us?). Unless I’m missing something, 64 prosecutions out of a minimum of 76,000 violations mean that at least 99.92% of scofflaws are getting away with it. In effect, this token level of enforcement means that we already have a voluntary census, and all the problems that come with it. Anyone who truly believes that the census should be mandatory ought to call for prosecutors to fine these noncompliant respondents and consider whether it’s time to finally set an example by tossing someone in a cage. That would certainly get everyone’s attention and should get response rates moving in the right direction. As an added benefit, such a move would strengthen the rule of law by avoiding selective enforcement of rules that are supposed to apply to everyone. For example, in 2006 several people who refused to fill in the census because Lockheed-Martin was a sub-contractor on the project were prosecuted, whereas an estimated 35,000 natives were left alone despite their own failure to complete the form. Statistics Canada explained that some reserves refused to allow the organization’s workers onto their territory. But since no one is suggesting anything like mass prosecutions, I’m left wondering what the critics actually want. Their outrage over ending the census’s mandatory nature would be more convincing had they, in years past, evidenced some concern over the masses of census forms that went straight from the mailbox to the recycling bin (or, heaven forbid, the garbage!). Incidentally, the criticisms provide a window into the statist mindset: either something is mandatory, in which case it happens, or it’s voluntary, in which case it doesn’t. Even with a near-zero chance of prosecution and no monetary reward at stake, 97% of us take the time to fill out the form and return it. That suggests that other incentives are at work, whether a desire to be a good citizen, social guilt, or something else. Sometimes people do things without being forced. What’s perhaps most maddening is that the long-form census does not rank in the top 1,000 issues on which I want to see the government adopt a dogmatic libertarian position. Heading the list would be drug legalization, civil liberties, economic regulation, barriers to trade, police powers and the income tax. The long-form census might actually be, quite literally, the least of my concerns. Given its other policies, it is baffling to see this government get on its libertarian horse over a poorly-enforced survey. Still, I’ll take what’s offered, and even a minute decrease in state power is something. But even if the decision is reversed, the controversy might just get some people thinking about the nature of coercion and even asking whether it should be used so casually. In the long run, such a shift in mindset would be a far greater victory for individual liberty than any change in how the state collects data. 1. For a pro-mandatory census argument that seriously considers the meaning of coercion and whether it is indeed justified in this case, see W. T. Stanbury, "Government coercion in perspective: where does the long form of the census fit?" The Hill Times, July 26, 2010.